Security is an important consideration for all cannabis-based businesses. 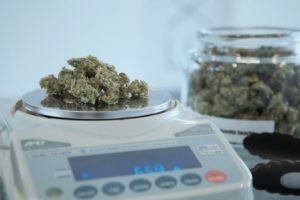 Whether it’s a dispensary, grow operation, processing/extraction facility, or testing and analysis facility, a security system that is a safeguard against dishonest employees, tracks inventory, and increases the overall operational efficiency of the business is imperative to protect profits and investments. Most states with medicinal and/or recreational marijuana programs have implemented regulations to track and monitor the cannabis plants as they grow and the cannabis products as they are sold or transported. 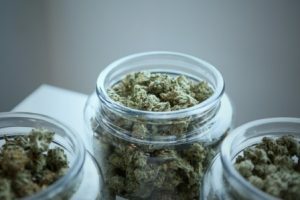 Radio-frequency identification (RFID) technology is commonly used to track cannabis from seed-to-sale and will most likely be included in the upcoming years in national regulations. March Networks® is a company that gives cannabis facilities the tools they need to enhance security, mitigate risk, and reduce losses from theft and fraud by combining video surveillance with applications that improve performance and profitability. March Networks is a global leader in intelligent IP video solutions. It specializes in security systems for the cannabis industry that allow the various regulations established by state and local officials. Compliance is of the utmost importance for a cannabis-based business and March Networks provides integrated video systems that ensure cannabis-based business owners can meet or exceed regulations for any state or municipality. In addition to the peace of mind that comes from knowing your facility will always be compliant with state and local laws, cannabis based-businesses that use March Networks video solutions will have the ability to use video and analytics to increase revenue and streamline the facility’s operations. The combination of video and analytics allows cannabis-based business owners to learn more about instances of potential theft, gather valuable metrics on the facility’s operations, and, if there is an issue, reduce the investigation time from hours to minutes. All in all, a March Networks video system is the most complete and straightforward way to reduce risk and minimize potential loss. March Networks Searchlight™ software is able to identify potential theft and fraud based on transaction exceptions. Operation managers can also review report summaries such as voids, refunds, and/or discounts to determine trends, such as high and low employee (or store) performance. They can compare report summaries in user-friendly software dashboards to easily analyze results. Specific transactions can also be investigated further. Individual transactions filtered by employee or transaction type (refunds or voids, for example) or a specific transaction amount can be identified and reviewed along with the associated video. If it turns out a theft has occurred, snapshot images and video clips can be saved along with the POS receipt data to provide strong evidence for authorities. Perhaps the most impressive aspect of March Networks’ Searchlight software is its support for customizable thresholds or rules. As an example, the user can define rules based on certain types of transactions (such as exceeding a certain amount) or specific analytics (e.g. transactions taking place when no customers are present). Any established rules or thresholds that are broken or exceeded will trigger an alert within the software or to an email account that can be easily reviewed and filtered by the specific location or employee. 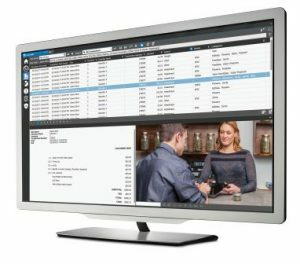 Aside from improving security within a facility, the March Networks video solution provides a valuable tool to dispensary and store owners: the ability to improve customer service and satisfaction. By correlating video with analytics data, the system can reveal how many customers are in a location at any given time, identify the average number of people waiting in line or for assistance, and the average time they have to wait for service. Information gathered through the March Networks software can reveal the time of day that most people are in the dispensary and for how long. All of this information can be valuable for dispensary owners and/or managers who can adjust staffing or the services they are providing based on the data. 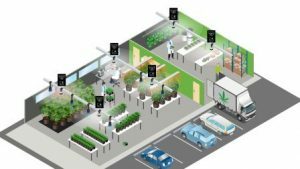 As previously mentioned, radio-frequency identification (RFID) is a common way for cannabis-based businesses to track inventory from seed to sale. Essentially, cannabis products go through an extensive supply chain, with many steps along the way. An RFID verification at each stage ensures not only compliance with state and local legislation, but also makes it easy to confirm where each individual product is in the process.. With March Networks’ video and RFID data tracking capability, owners can determine when a product was last verified by a fixed RFID reader, and see the circumstances surrounding any product that is missing or misplaced.. This gives owners and/or managers a comprehensive, visual account of each and every item with an RFID tag as it moves through the supply chain, and allows them to set up reports in the easy-to-use Searchlight dashboard to analyze inventory flow. The ultimate purpose of a video security system is to help protect a business’ employees, customers and investments. Visible security measures can be effective at providing employees and customers with peace of mind and also serve as a visual reminder that all activity is being monitored and recorded. This visual reminder alone can reduce or eliminate internal theft and scare away potential thieves.. A potential thief is much less likely to act if he or she knows a high-resolution image of them will be captured on video for review and future reference..
March Networks IP cameras are built for the unique requirements of any cannabis-based business. The cameras can easily handle challenging lighting conditions (such as light reflections from horticultural artificial lighting systems), and also incorporate low light technology for clear video capture even in complete darkness. The cameras come complete with alarms, which notify users if any camera is blocked or moved. March Networks cameras are also built to last and are available with ruggedized, vandal-resistant housing to protect them from vandalism, extreme temperatures, high humidity environments (such as a greenhouse), and water (rain). Motion detectors are also included to trigger alarms and optional two-way audio helps management scare off potential thieves by reminding them they are being watched. The March Networks Command® Mobile app lets users view both live and recorded video remotely on their mobile phones or devices. A smart phone or mobile device can be used to see if someone is in a grow facility or dispensary before employees enter the building. Management can be “present” during cash counting, which can be monitored off-site with this technology. The March Networks Command Mobile app also allows users to conduct a virtual patrol of an area from any location. 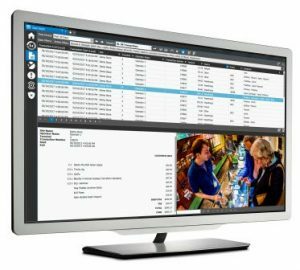 Advanced safety integrations provided by March Networks include access control alarms, which can display live video pop-ups, trigger cameras to move to preset locations, and send email notifications to key people. All alarms are logged in March Networks Searchlight software and are searchable for future investigations. License plates detected by surveillance cameras at the facility can be logged and later filtered and searched within the Searchlight software. License plates are integrated with associated recorded video for fast and easy investigations. Optional March Networks Managed Video Network Services will save cannabis-based business owners and/or management time and resources, while also providing peace of mind knowing that their video system is always updated and performing optimally. A team of experts working in March Networks’ dedicated Network Operations Center proactively monitors the health of the video network and trouble shoots when an issue arises to ensure high reliability. There is no doubting the importance of an effective video surveillance system for any cannabis-based business. March Networks’ integration of video, RFID data and POS transaction data provides cannabis-based business owners with complete oversight of their facility operations. All in all, March Networks offers the most comprehensive video solution for cannabis-based businesses; it offers not only protection from theft and fraud, and effective tools to ensure seed-to-sale compliance, but also helps increase the efficiency of the business and enhance customer service. For more information call 613.591.8181, email info@marchnetworks.com or visit MarchNetworks.com.